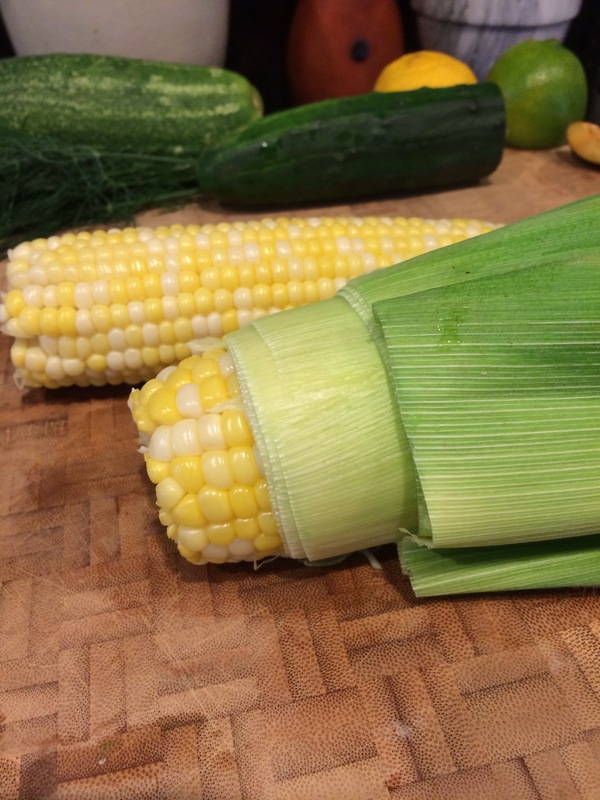 The Microwave Corn-on-the-cob Trick Really Works! I think it was last summer when I first saw the YouTube video floating around Facebook. It showed a way to microwave your corn-on-the-cob, in the husks and then easily remove the corn from the husk with ABSOLUTELY NO SILK. No silk you say? I’ll believe it when I see it… So I gave it a try. 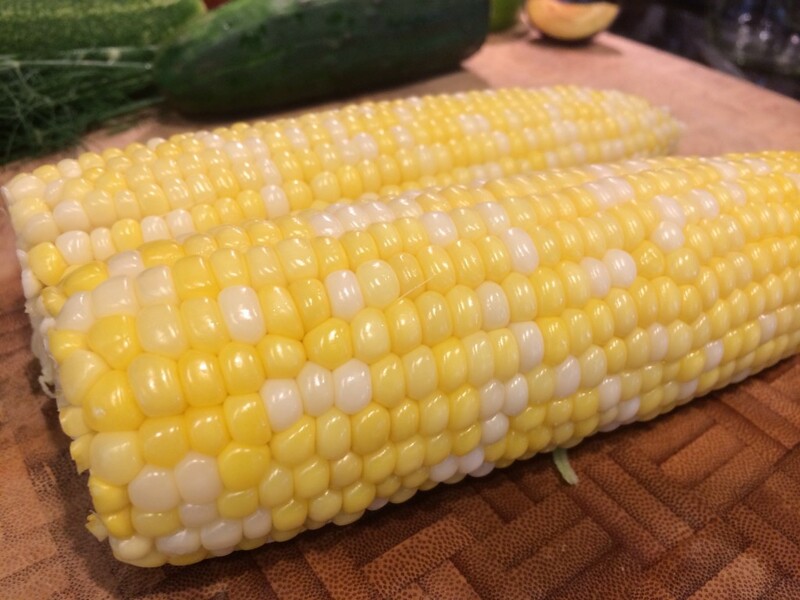 Put the entire, un-shucked, ear of corn in the microwave. Microwave on high for 3-4 minutes per cob. I’ve done this a few times — starting with 4 minutes per cob at first… but over time, have realized 3 minutes per cob works just fine. 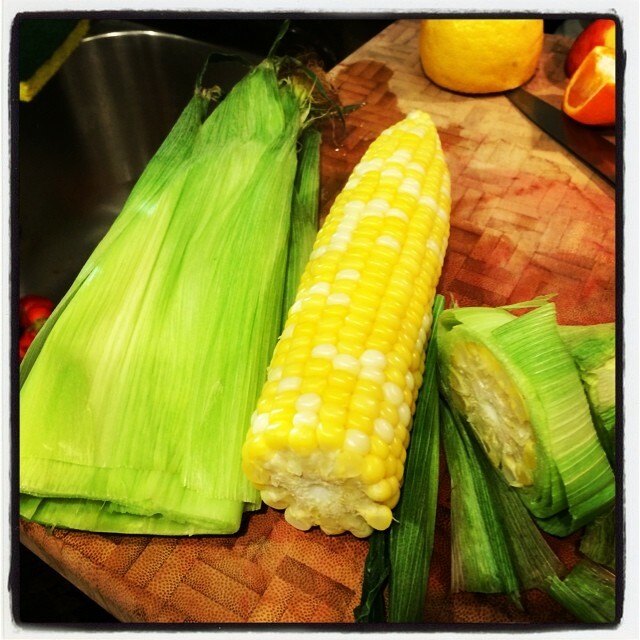 Take the cobs out of the microwave… they will be VERY hot! So be sure to use an oven mitt or towel. Cut the stalk end off with a sharp knife. 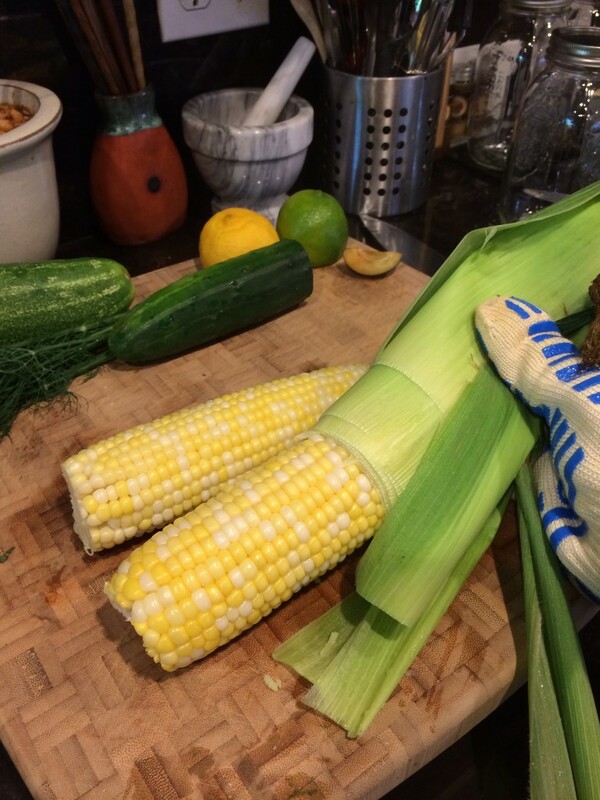 Look at the bottom to make sure you cut far enough into the cob. No stalk can be remaining… you should see just corn surrounded by the husk. 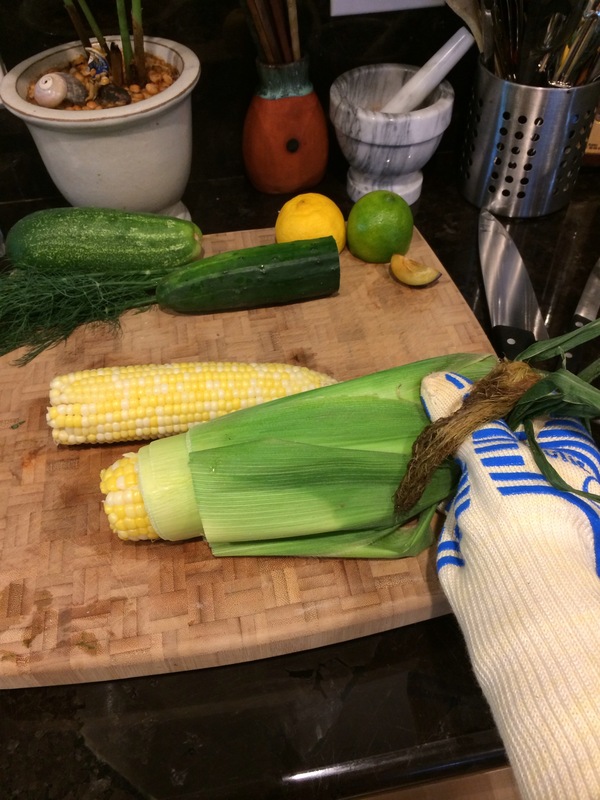 Using a towel or oven mitt, grasp the silk end of the ear and gently begin pinching the husk… essentially “squeezing” the cob out. It can be hard to start sometimes, just keep pinching in small increments. Eventually you’ll get some momentum going. Continue to pinch until the entire cob slips out of the husk. You can also grasp the cob with your other hand and pull… but be sure to keep a hold of the silk so it doesn’t pull out with the cob.